Upon arrival at Mali Airport of Alor, our guide will meet you transfer to Pulo Alor hotel or similar accommodation. After lunch take a tour to visit Takpala,a traditional village without modern technology, which is located on a hill with spectacular view of Flores sea. Next proceed to Monbang traditional village to see Kabola tribe who wear tree barks as their clothes. Here we’ll learn their tradition and way of life. They will also serve local coffee which they grown themselves. Late afternoon drive back to Kalabahi town to have dinner then rest at hotel. Breakfast at hotel. Visit Bampalola one of the most traditional village in Alor. We can see the beautiful view of Pantar strait and other islands in Alor’s archipelago from here. Descend drive to Alor Kecil where we can see the traditional house of Ternate people from Mollucas that came to Alor isle more than 500 years ago. Lunch box will be served here. If we still have time, we can cross to Kepa Island to enjoy sunset and see the sea turtles hatchery, we also can relax and swim on the beach here. Afternoon, return to Kalabahi town. Dinner will be served at local restaurant in Kalabahi. Breakfast at hotel. Transfer to local harbor to embark a wooden boat then cross to islands nearby such as Pura island to snorkelling and see the locals make Alorese palmwine on their traditional breweries and the women skilfully make cane works. Lunch will be served on this island, if we’re lucky we’ll eat Lobsters fresh from this island. Continue to Ling’al beach which is the most famous beach in Alor to relax, swim or trek to the hills. 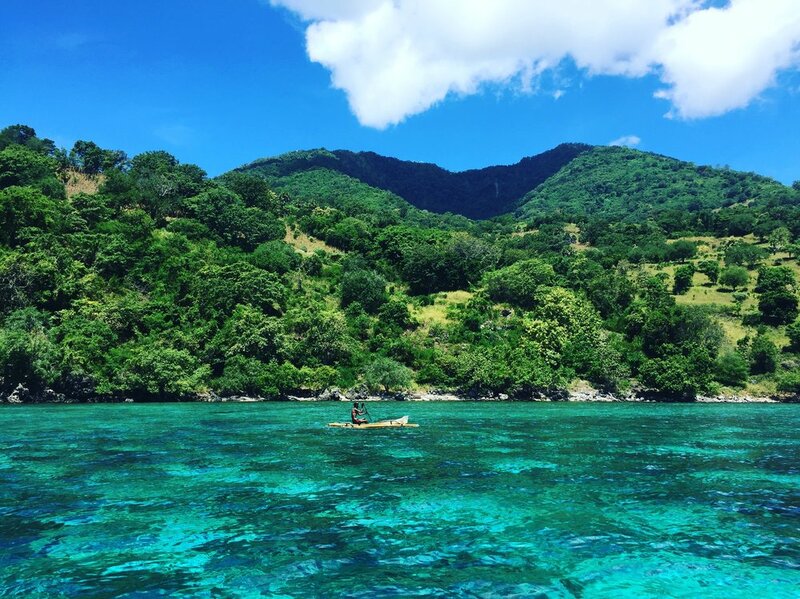 Continue sailing to Ternate island to continue snorkelling or visiting Ikat weavers village. Afternoon cross back to hotel for accommodation and meals. Breakfast at hotel. Then, we can go to see the Dugongs (Dugong dugon) that live in Sika strait near Mali airport. These Dugongs are sea mammals that live peacefully on the waters of Sika island. Transfer to airport for flights to next destinations. Breakfast at hotel. Then, we drive and easy trek to Mataru Waterfall. Or if you’re not a fan of trekking, we can visit Moru Kingdom’s castle who still exists for hundreds of years. Then we go to Tuti Adagae hotspring geyser that is the biggest geothermal site in Alor. We can soak our feet and body here to relieve the tiredness. Then in the afternoon, we can visit Mangrove beach to snorkelling or just lazying out in the sun. Arrived in Alor, visit the Hula workshop for organic Ikat to learn how to make Ikat from organic cotton & natural colourings. The weavers’ chief Mama Sariat had won so many awards as she is the founder of 145 shades of colors from organic ingredients & she also had been invited to Netherlands, Germany and Italy and become the most distinguished person in Indonesian traditional textile scope in term of natural colorings. Return to hotel for rest after having dinner. Visit Pantar island to see the making of Ikat in Baranusa. From Kalabahi to Alor Kecil harbour by car is 17 km and from Alor Kecil to Baranusa by speedboat is 3 hours. The tribe in here make Ikat with different patterns & influenced by their ancient folklore and coastal environment. Return to hotel for rest after having dinner. Visit the Monbang village to learn about the making of traditional clothes from Ka tree barks. We will also learn about traditional coffee-processing. Return to hotel for rest after having dinner. With car early in the morning, go to Kolana area where the Ikat weavers made distinguished Ikat pattern with the influence of East Timorese culture, since Alorese and East Timorese have close connection in culture and customs. Kalabahi to Kolana is a 3 hours drive - approximately 110 km. Return to hotel for rest after having dinner. Visit the traditional market that sell the unique handicrafts of Alor - on the city center (5 to 10 mins by car). Drop off at the airport for next flight.